Story by Matt Young. Recipe by Sandra Gutierrez. Photos courtesy of University of North Carolina Press. Cary, NC – Cary author and food legend Sandra Gutierrez shares a sinfully delicious recipe from her soon-to-be-released book with CaryCitizen readers. 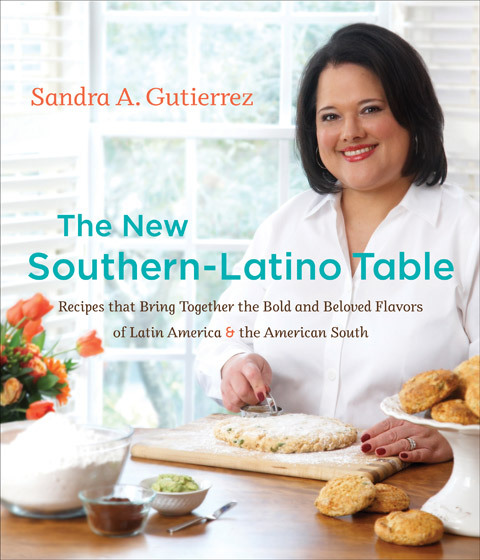 I had the pleasure of meeting Sandra Gutierrez, the author of the soon to be published book – The New Southern-Latino Table: Recipes That Bring Together the Bold and Beloved Flavors of Latin America and the American South – over 15 years ago. It was at a neighborhood party hosted by Sandra. 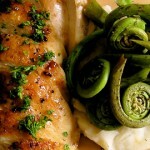 At the time Sandra was writing a food column for a local newspaper and teaching cooking. My wife can attest to this, my mind was blown. She is a passionate, knowledgable and meticulous chef. Kind of a local food legend in Cary. Imagine my excitement when her new book arrived at my door (an advance copy). The book is a tribute to the recent fusion of Latino and Southern cooking. The marriage of the two cultures is a “natural”. 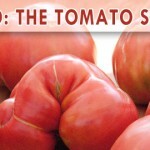 The two cuisines use many of the same ingredients – chicken, pork, corn, tomatoes, beans, etc. Some of the recipes included in the book are: Fried Chicken with Smoky Ketchup, Masa-Encrusted Fried Green Tomatoes with Cilantro Crema, Sweet Corn Ice Cream (I kid you not) and Southern-Latino Lime Pie. The book also includes local and Latino food trivia tidbits and techniques. Sandra has an ambitious book signing tour starting in September. The first one is at BookMarks Festival in Winston-Salem on September 9. On September 22, she will be at The Umstead Hotel and Spa here in Cary at 6 pm. The Umstead event will be open to the public. Click here for more info. We’ll publish more details in a future issue. surprise you with a tingling sensation. The combination of chocolate and chiles gives the well-known mole poblano of Mexico and the mole de plátano of Guatemala their distinctive flavor. 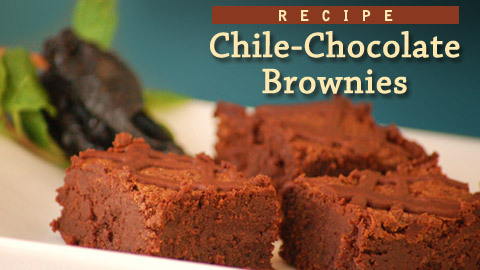 And here, fruity ancho chiles are a perfect match for rich, dark chocolate. The meaty pecans lend an unmistakable Southern touch. These are “grown-up” goodies. Make a batch without chiles for the kids. Preheat the oven to 325°F. Butter a 9x9x2-inch baking pan. Place the butter and chocolate in the top of a double boiler and heat over low heat, stirring occasionally, until they have melted and are well combined. Lift the bowl carefully from the pan so no water droplets come into contact with the chocolate mixture; let cool for 5 minutes and transfer to a large bowl. Stir in the sugar; add the eggs one at a time, beating well after each addition; stir in the vanilla. In a medium bowl, whisk together the flour, ancho chile powder, and salt; gradually add the dry ingredients to the chocolate mixture, beating well until fully combined. Add the pecans. Pour the batter into the prepared pan and bake for 30-35 minutes, or until the center is set and the brownies begin to pull back from the sides of the pan. Cool brownies for 1 hour in the pan. The New Southern Latino Table: Recipes That Bring Together the Bold and Beloved Flavors of Latin America and the American South published by The University of North Carolina Press will be available in bookstores and on-line next month. Watch future issues of CaryCitizen for more of Sandra’s recipes. I gotta try these- another hidden Cary Celebrity revealed!